Welcome y’all to a new (and, we hope, regular) feature at Fantasy Literature! I’ll be scanning the blogosphere on a weekly basis and providing you with some handy links to the very best of the articles, interviews, and miscellaneous goings-on provided by FanLit’s friends. I’m testing this out in a handy Top 10 format. If you’d like to see any changes to this feature, or you have suggestions for ways to make it better, or if you think I missed something important, please leave a comment! This one can be found over on A Dribble of Ink run by Aidan Moher. Aidan is the acknowledged king of cover art, and he has a great deal to say on the subject. In fact, recently there have been a number of discussions around the subject of cover art prompted by Aidan, including one conducted by Mark Charan Newton which can be found here. Here is the new artwork — are you a fan? 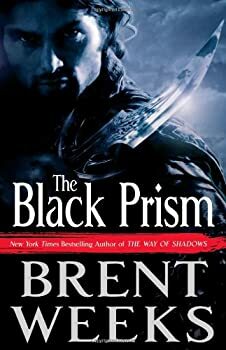 The Black Prism is being released by Orbit Books in August 2010. This is a regular feature found over on the site run by Carolyn, Book Chick City. The whole site is worth a read, since she deals very much in urban fantasy and horror. Carolyn is spending some time asking various authors how they go about producing the novels we love to read and the answers are very often illuminating. Her most recent victim has been Tim Waggoner. 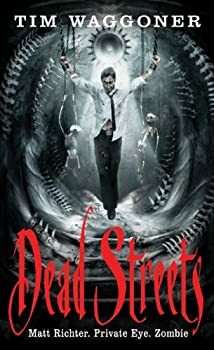 He is out of the Angry Robot Books stable and has a new novel — Dead Streets — out now. 3) A seriously interesting article with a seriously long title! You can find the first part over at SF Signal, the second at Debuts and Reviews and the third at Grasping for the Wind. You should definitely take a read of these and then leave your comments at Grasping for the Wind! The Book Smugglers are definitely the champions against whitewashing (the reprehensible activity of using a white character on a front cover to represent a character who is not white) — well, I’ll let them speak about it for themselves in an article posted last month. 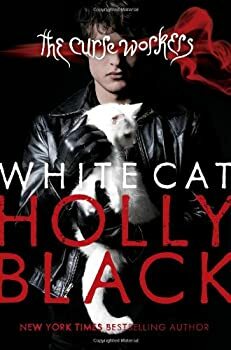 Recently they were alerted to the possibility of whitewashing with Holly Black‘s latest book The White Cat, and did a sensitive and in-depth analysis to see whether they agreed. I urge you to read up on this subject — it is something The Book Smugglers are extremely passionate about. Jason over at Kamvision has been exploring some horror titles that are either out now or forthcoming. I wanted to bring this one to your attention because some of the titles (such as Wolfsangel by M.D. Lachlan and Thirteen Years Later by Jasper Kent) will or have already found their way to the review pages of Fantasy Literature. The barriers between the various genres are being beaten down in all sorts of ways right now. Here are the links to Kamvision’s handy guides: here is Part One and here is Part Two! Now this is an interesting little project! I’ll allow Mark Charan Newton (he of Nights of Villjamur fame) to explain what is going on. I love this idea — although I wasn’t brave enough to enter my own entry — and I have found the results posted so far to be incredibly entertaining. The first entry is here and the second is here. I would urge you to check back periodically to Mr. Newton’s website — his blog entries are often incredibly thoughtful. 7) Nextread’s Writing Magazine open for entries! Gav over at Next Read has bravely decided to start a new online magazine for speculative fiction, so, for all those who were dismayed at the fact that MCN’s project above is closed to entries, get scribbling and write something for Gav! All the details for submission can be found here — the first issue is inviting work with the theme Science Fiction combined with Myth. What are you waiting for?! As an aside, Gav also celebrated World Book Day by inviting readers of his blog to give the one book they feel everyone should read — the results are illuminating. 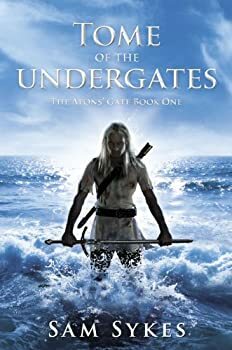 Sam Sykes is being published this year by Gollancz — a review of his debut novel (Tome of the Undergates) and an interview with the man himself will be forthcoming from FantasyLiterature in the next few weeks. In the meanwhile I want to bring to your attention a feature he has been running just lately on his blog — Tales of the Blogosphere — in which he interrogates the people behind some of the big blogs and brings to your attention newer blogs you might have missed up til now. So far he has tackled: The Book Smugglers, Speculative Horizons, Floor to Ceiling Books and A Dribble of Ink. Stomping on Yeti is a speculative fiction blog well worth clicking your mouse towards. He recently decided to turn the spotlight on 25 authors he feels are worth watching in 2010 and for the future. So far he has produced three in-depth posts, dealing with information concerning these new authors, what work they might already have published and what we can expect to see from them in 2010. I will just give one warning: my wishlist grew exponentially with each post he put up! Here are Part One, Part Two and Part Three — how about letting us know which of these authors you are most interested in? 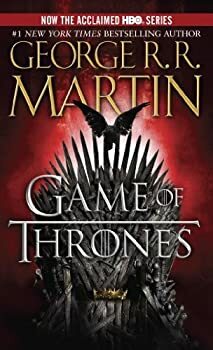 Finally, I leave you with the happy news (and news which you have probably already seen — the Internet was abuzz with this last week) that HBO have commissioned a full series of A Game of Thrones. I don’t think anyone provided as good coverage on this as Adam Whitehead over at The Wertzone, so here is your link! And that’s a wrap, people! I hope you’ve enjoyed this quick canter around the Internet — because this is such a fledgling feature, I would be grateful for any feedback as to what you would like to see in the future and anything you think I should avoid. Have a great week – good reading! Looks great, Amanda. Can’t wait to see if The Speculative Scotsman earns a place on World Wide Wednesday in the future! Go Gav, eh? This NextRead Magazine sounds very exciting. I’ve written a bit to be posted on the blog later myself. Congrats are in order, I think. The format’s great, by the way. Top 10s – very easy to digest. Your post looks great, Amanda! Is that Aidan’s artwork? I love it. The whitewashing thing has really been ticking me off lately. I liked the article about The White Cat. The one I noticed recently was the new cover for Elphame’s Choice. I don’t think the heroine is black as in African-American, she’s more of a made-up race, but she is described as “brown-skinned” and is portrayed on the cover by a model several shades paler than me. And that takes some doing! The whitewashing thing is just offensive, plain and simple. As for cover art in general. I’m not a fan of the photo-realistic style covers. I love this post. This is just what we have been missing at FanLit. Speaking of whitewashing–I’ve got Soulless by Gail Carriger here. Under most circumstances I’d say the cover is lovely, but seeing as how the character is described as tan and is the same shade as me on the cover, I’m a little dismayed.